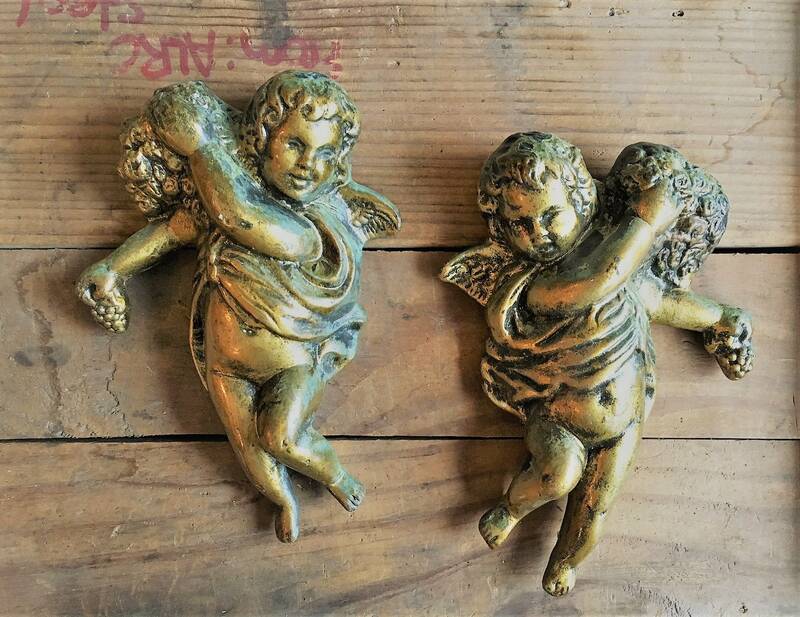 Featured is a vintage pair of ceramic cherub wall hangings. 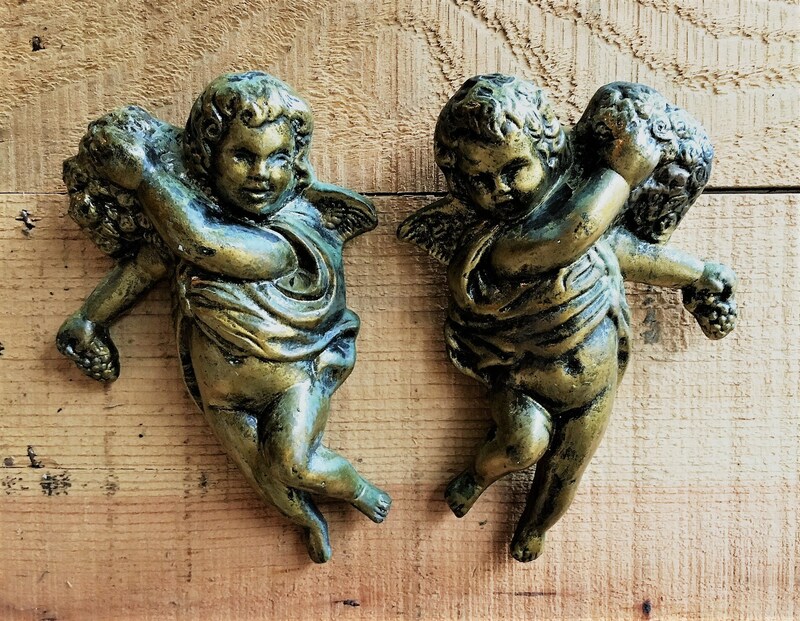 These gold-colored baby angels are smiling away as they carry large bunches of grapes. They are about 7 inches tall and about 5 inches wide. The back is engraved with "USA" and "946" and "947." Both pieces are free from any chips or cracks. 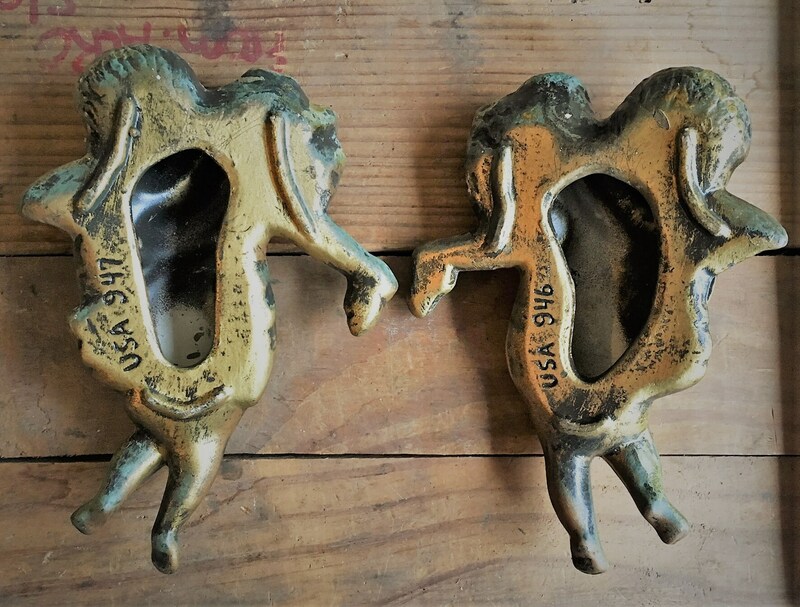 Both pieces show nice patina and wear to the paint, giving them tons of character. Both pieces offer for one low price.